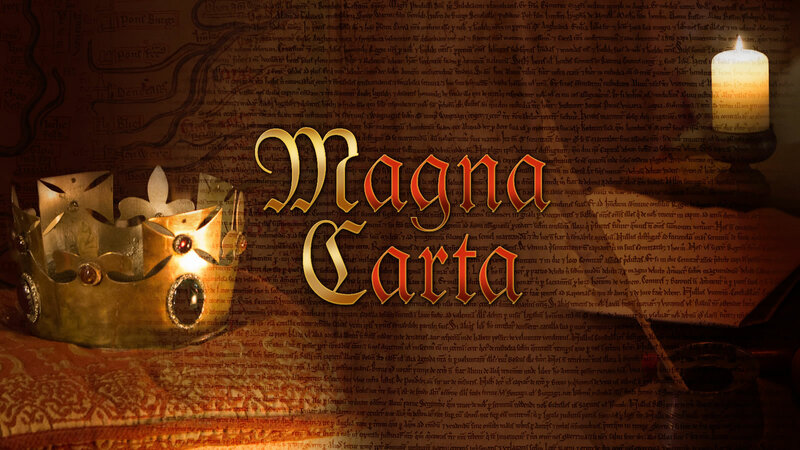 Magna Carta happens to be one of the most important documents in history. Signed by King John of England, it is believed that this document has been the basis of human rights, the American Declaration of Independence and other related important documents. The document marked its 800th birthday in 2014. Also known as the Great Charter, this document emphasizes on government’s accountability towards human rights and civil protection. 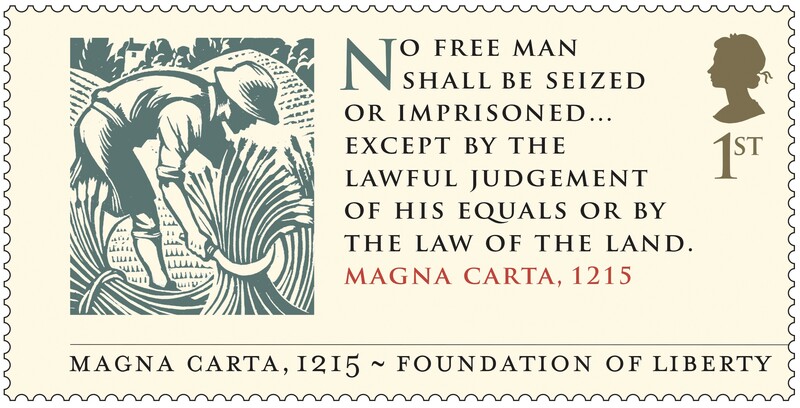 The following are 13 Magna Carta Facts. 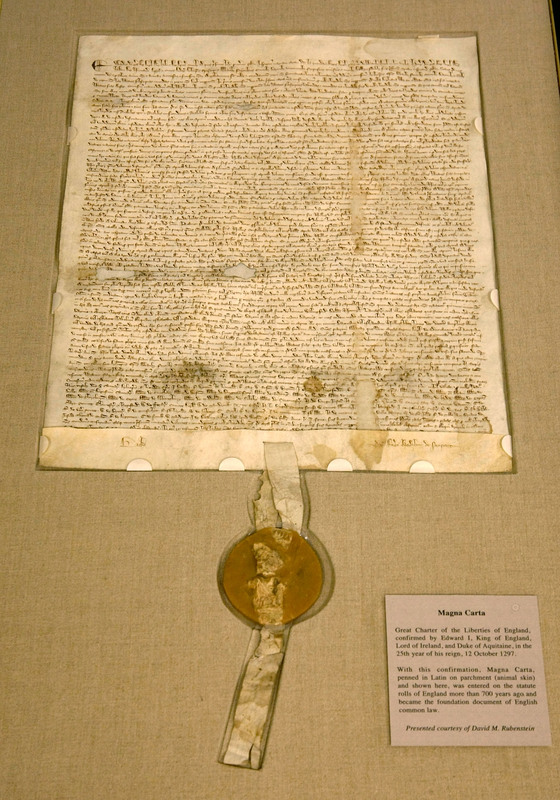 Though Magna Carta was signed by King John, the document was literally forced upon him by a few English Barons. The document was against the king’s misrule and the system of taxation prevailing during those times. Many historians of the 19th century are of the opinion that Magna Carta has been penned down by the Archbishop of Canterbury, Stephen Langton. However, when going through the actual document it seems that many negotiations were made during the writing of the Charter, and changes have been made back and forth along the course of its formation. The influence of most of the noblemen has been observed during the writing process. In the original document of Magna Carta the verses were written in Latin. One of the most interesting Magna Carta facts is that the English version of this document was translated and penned down almost three centuries later in 1534. The first ever translation of the document was in French; French being the international language of chivalry, during those times. This copy was written in 1215 and was sent to Hampshire. In the early days, the king’s orders was the bottom line. This unadulterated and unfiltered power led to tyrannical rules. The Magna Carta was the first ever document which placed the King under the law, therefore reinforcing the power back into the hands of the government and the people. So beliefs like King was above the law, he was answerable only to God and not to the people were wiped out. One of the most important Magna Carta laws was in the field of feminism. Since it was written during the 13th century, it had laws which benefited the aristocratic women of the society. So clauses like, “widows will inherit her husband’s property” and “no widow will be forced to remarry” spelled good news for the noble women of those times. Only 3 Magna Carta clauses which were present in the original script are still laws. The first law defends the freedom of the church, the second law liberties and customs of some of the main cities and towns including London and the third law advocates a proper trial by a jury before imprisonment and arrest. One of the most interesting Magna Carta facts is that it was originally written down on dried sheepskin also known as parchment. Quill pens were used to write this document which was penned down in abbreviated Latin. It was a convention during those times to write down legal documents on a parchment. Later the document was sealed with a “royal seal” which was made of resin sealing wax and beeswax. The 1927 copy of the Magna Carta was sold in New York for a whopping 21.3 million dollars. Well, that is one of the highest amounts of money paid for any text. Funnily enough, this copy wasn’t even the original! There is a minor controversy regarding the fact that did King John sign the Magna Carta or did he just seal it. 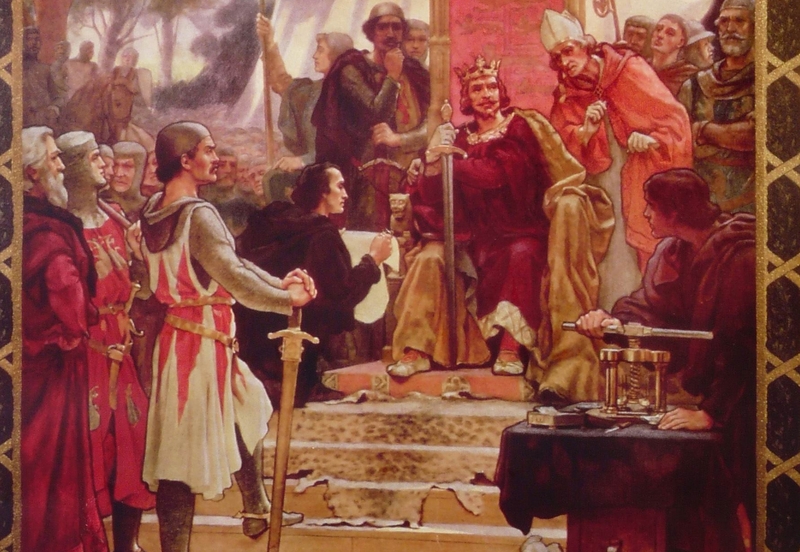 Well, most historians believed that King John, no different from the other medieval rulers of his time, did not sign the document and rather sealed it. During those times, kings used a quill to sign the documents, but there is barely any evidence as to whether he signed it or not. Recently all four surviving documented pieces of Magna Carta were brought together and put up on a display in London. There were around 43 thousand people who applied for tickets just to have a look at these documents, however, only a selected and lucky lot of 1215 people were allowed to witness the document over a course of 3 days. 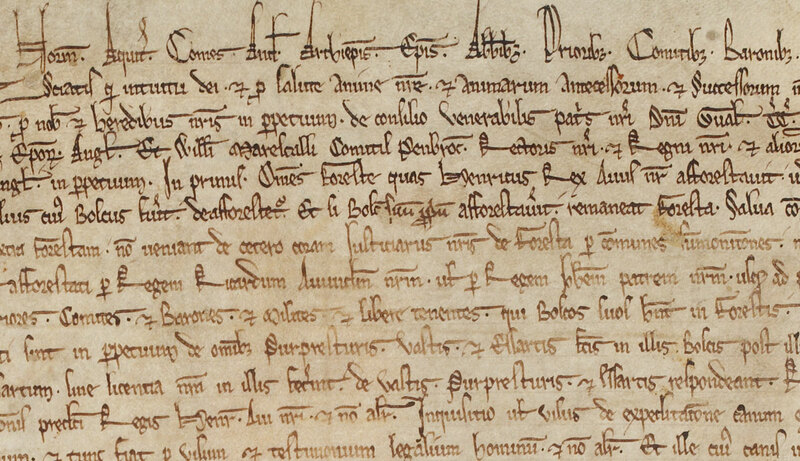 There are many documents which have inspired Magna Carta and its creation. 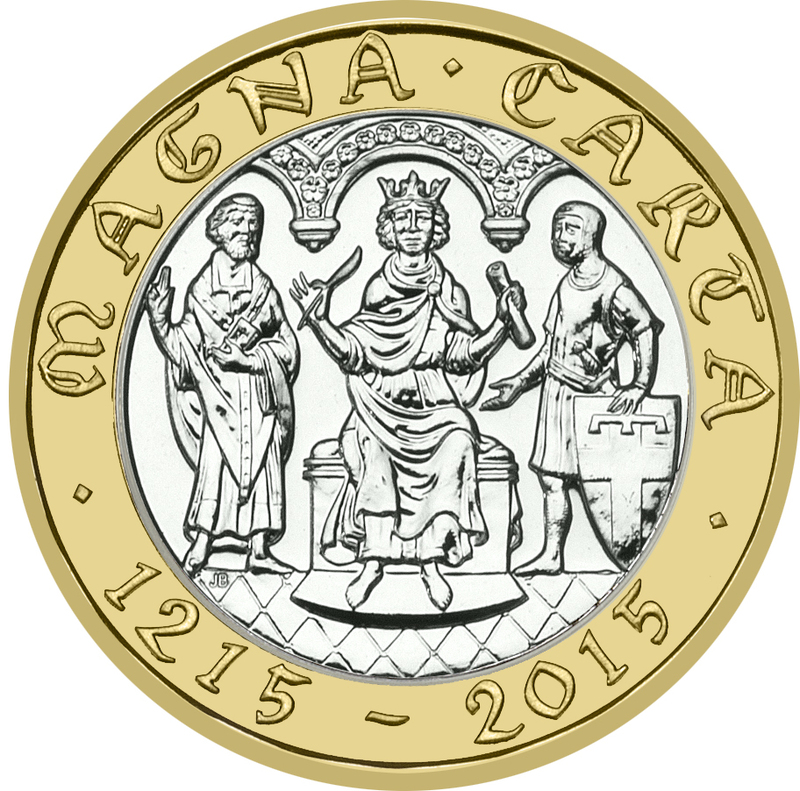 As per history of Magna Carta, King Henry I had issued a coronation charter with 20 clauses in the year 1100. All of these clauses were mostly aimed to woo the people. So claims of a just rule, reduction of royal meddling in the inheritance of noble families, financial freedom to the church, etc were common. 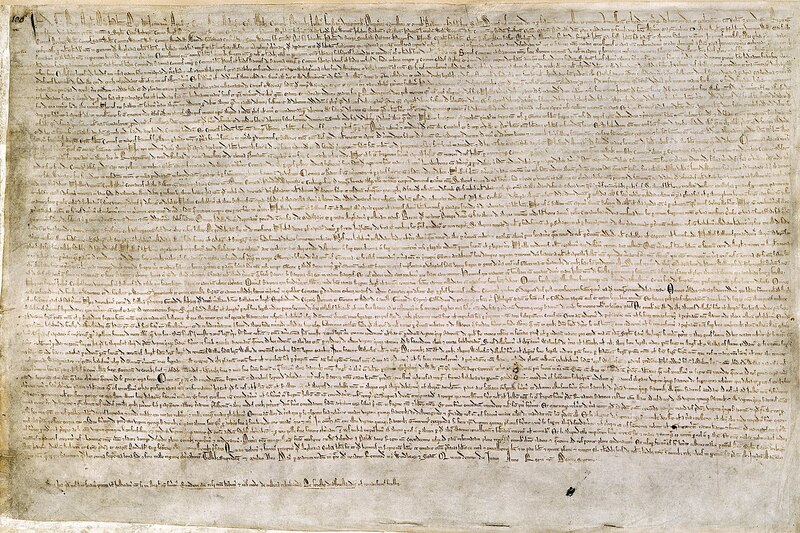 Though King Henry forgot about most of his promises once he came into power, it was this charter which later inspired the Barons to chalk out Magna Carta. Though Magna Carta was unique in many ways, it had its basis in many similar former charters and legal documents. As we all know Magna Carta laws were not a gift from the King to the people, rather it was a demand of the nobles from the king. So it comes as no surprise that the document did not come into full effect for a very long time. In fact, King John had petitioned the Vatican to annul the document. However, in the year 1225, a 9-year-old King Henry III used Magna Carta as his coronation charter and reissued an abridged version of the famous document. As mentioned before, the document is written in highly abbreviated Latin and is just under 4,000 words. It was signed at Runnymede which is located in Surrey. The English translation has close to 4,922 words. It was quite a long document considering that the United Nations Universal Declaration of Human Rights has only 1833 words. It was originally known as the Charter of Liberties. Famous leaders across the world like Mahatma Gandhi and Nelson Mandela have given reference to Magna Carta. Even American President Franklin D. Roosevelt believed that Magna Carta was the inherent virtues of Democracy. The document was the basis of many reformation changes across the globe, including the Human Rights. It was the stepping stone towards democracy and power to the people. Magna Carta summary will be that even though it is an 800-year-old document, it holds its grounds till today. It is still held as one of the most important written documents during the monarchical reign in early England. The document certainly has an illustrious and long history, which is celebrated even today. The document definitely puts limits on the power of the crown, and the most important Magna Carta summary has been that it safeguarded the freedom of the common people. These Magna Carta facts, shed light on how it was the stepping stone towards a better non-tyrannical world.